This quilt is a modern interpretation of an Amish bars quilt, and it turned out almost exactly like my original paper sketch. The colors remind me of California–sunny and laid back–and I think the organic shapes of the bars keep the design from feeling rigid. 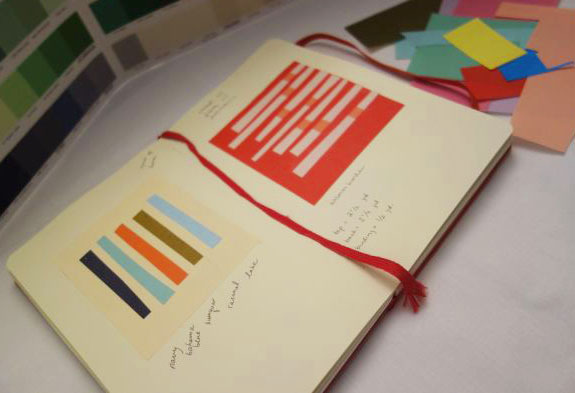 I debated about using a patterned binding. As much as I love solids, it didn’t work to pick up one of the colors from the bars, and I couldn’t find a good contrasting color–but the Yuwa aqua honeycomb seemed just right. With the pared down design, this little touch of pattern adds some fun without being fussy. 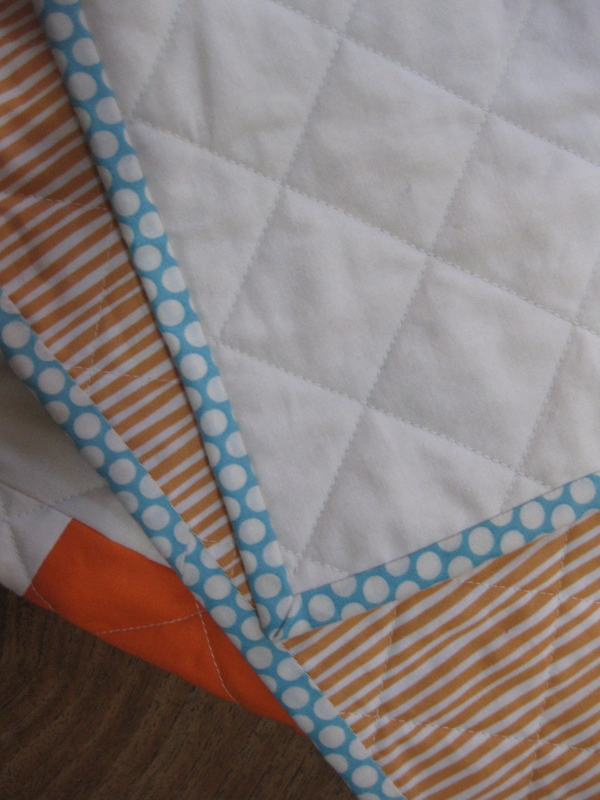 Plus this fabric is so soft and silky it really adds to the drapey texture of this quilt. The backing fabric is Cloud Nine Simpatico in Peachy Straws–which is a lovely organic fabric. 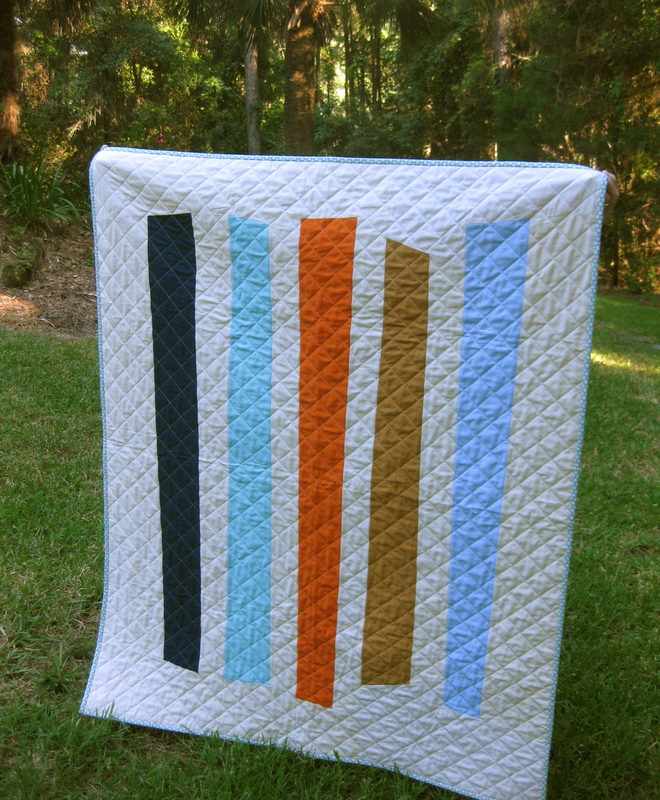 I am adding this quilt to my Etsy shop! 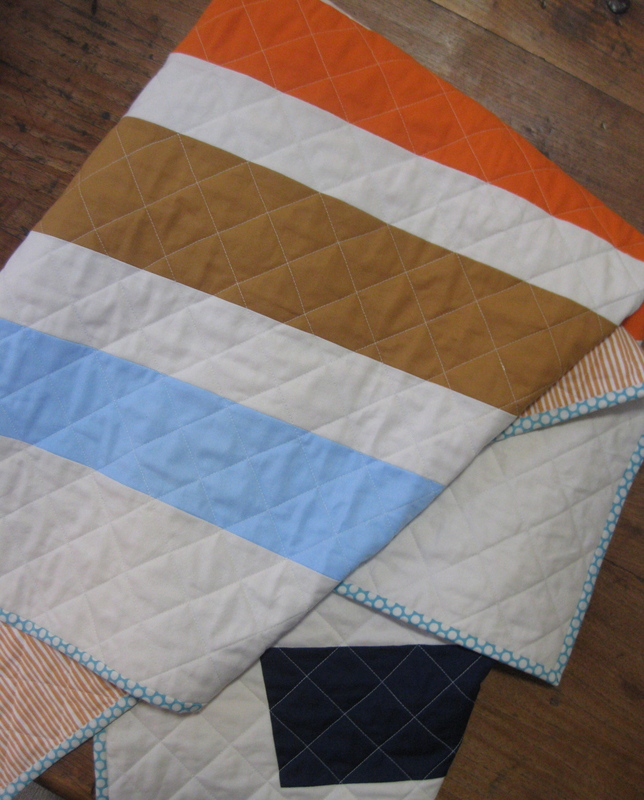 This entry was posted in kids stuff, quilts and tagged Amish quilt design, Etsy, modern baby quilt, modern quilt design, Quilt on September 13, 2013 by brigitdermott.